The University’s Department of Education discussed its plans to implement widespread curricular changes across all of its undergraduate and graduate programs Monday in a forum with students. The proposal, which would go into effect over the next two years, is still in the development process, Chair of the Department of Education Tracy Steffes told The Herald. If enacted in its current form, the redesign would focus on unifying the direction of the department’s three programs — the undergraduate concentration in Education Studies, the Brown Master of Arts in Teaching Program, and the Brown Master of Arts in Urban Education Policy Program — through an increased attention to urban education, diversity in education and hands-on experience in the classroom. Susanna Loeb of the Annenberg Institute at Brown University, a former academic advisor with Ready4K, Is helping BIT to adapt the texting program into a UK context. “The main barrier to successful implementation in the UK is to ensure that the text messages are relevant to parents in the North East of England,” said Loeb. “BIT and I are working together to implement an extensive piloting phase with parents and teachers to ensure the messages are suitable for the target population,” she said. The ongoing evolution of the Annenberg Institute, propelled by vigorous, innovative, real-world scholarship aimed at ensuring that all K-12 students in America have the opportunity to achieve their full potential and become devoted and informed citizens, further positions Brown to deliver on this vision. Rhode Island Department of Education Commissioner Ken Wagner announced that he is stepping down from his position to join the Annenberg Institute at Brown University as a Senior Fellow for Education Policy and Practice. “I have been fortunate to work with an incredible team of people over the last three and a half years. Together, we have been able to create exciting new opportunities for students, to better support and invest in our teachers, and to distribute leadership so that each of us can understand the role we play in improving schools,” said Wagner. Loeb’s appointment followed a 2017 University review of the institute, which resulted in the University’s decision to shift Annenberg’s focus away from school reform and community mobilization and toward educational inequality research, said Provost Richard Locke P’18. Warren Simmons, the former executive director of the Annenberg Institute for School Reform, as well as four former Annenberg staff members told The Herald they did not support the University’s decision to shift the institute’s focus, The Herald previously reported. The University’s “core competence is research and teaching, not capacity building for community groups,” Locke said. He chaired the 2017 review committee made up of “faculty, senior University administrators and Annenberg Institute staff,” according to the committee’s executive summary.. The institute’s new focus will allow it to “build stronger intellectual ties with academic departments” and University groups than before, Locke said. As the scaffoldings came off of the University’s newest completed construction project, a renovation of 164 Angell St., occupants from five different divisions across campus moved into the office space. The building now houses the Carney Institute for Brain Science, the Center for Computational Molecular Biology, the Data Science Initiative, the Department of Education and the Annenberg Institute for School Reform. 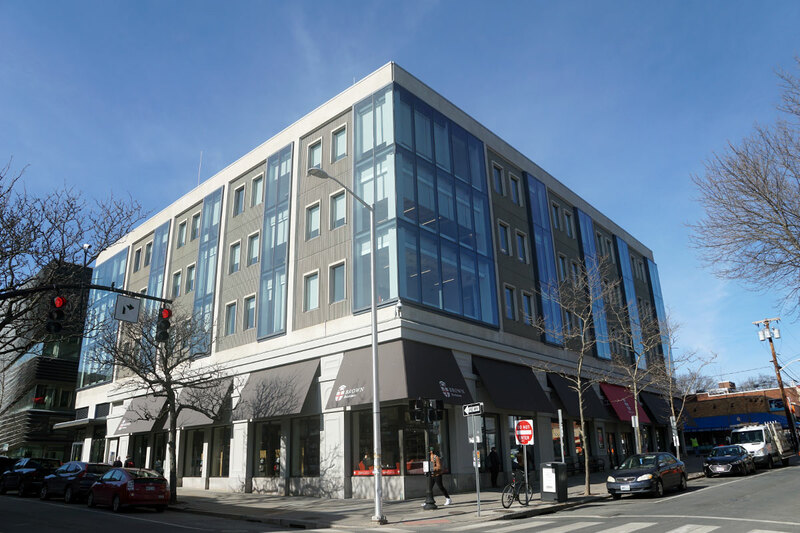 Following the relocation of the administrative staff from 164 Angell St. — formerly known as the Brown Office Building — the space has transformed into a “vibrant multidisciplinary hub,” wrote Provost Richard Locke P’18 in an email to The Herald. Can a student’s choice of college lift them out of poverty? John Friedman, an associate professor of economics and of international and public affairs, took on a massive statistical analysis to discern trends in access to colleges for low-income students. He and colleagues at the Equality of Opportunity Project identified the schools that move the most low-income students up the economic ladder. Friedman and the research team looked at 30 million students, using data that included family incomes in students’ teenage years, as well as statistics on the earnings of those graduates who have reached their early 30s. Students from divergent economic backgrounds who graduate from the same universities, he said, can achieve similar economic status later in life. With so much data, the study created a foundation for the development of policies that might increase access and mobility in a way that takes into account the specific characteristics of a place or higher education institution. Why did the federal study show no significant gains? We believe that the study’s “statistical power” was so weak that the student performance gains in SIG schools “would have had to be unrealistically large for the study to have been able to detect them,” in the words of Brown University researcher Susanna Loeb. Moreover, the sample of about 190 schools was not nationally representative, so the results can’t be generalized to the nation. And the states they reviewed had widely varying processes for awarding and administering the grants, introducing a lot of static that can drown out positive findings.